Hey guys! I recently purchased the Kryolan 9260 Perfect Matt makeup primer from Nigels in NoHo and I’m sorry to say that I am not a fan! Although I do feel that it does make my makeup look more smooth on my skin, I still find myself blotting oil off of my face every couple of hours throughout the day. Ironically, my makeup does seem to still look good by the end of the day but it’s not my definition of “perfect matte” for someone with oily skin! 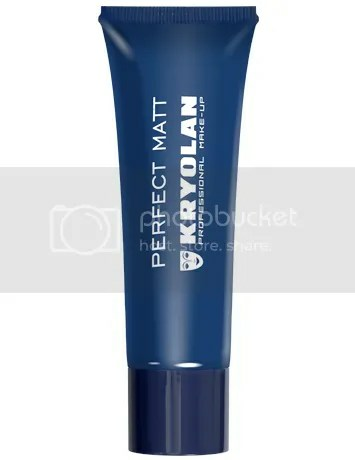 The product is a gel with a velvet feel, like most primers, but one thing I noticed about Kryolan’s Perfect Matt is that you have to give it a good shake before you use it or else a weird oil will come out instead of the gel (I’m assuming this is the vitamin aspect of it). It does have a scent (which worries me since I have acne prone skin) that smells kind of like bubble gum… with a hint of vanilla (I’m probably so off, but that’s what comes to mind when I smell it). So far I have only used it with Makeup Forever HD foundation but I plan to use it with a long wear foundation soon. The cost of this product is $26.50 without pro discount from Nigel’s, and around $21.20 with. As of now, I would recommend this primer for someone with dry skin as it has a moisturizing effect. Stay tuned for an updated post on this primer!